Whilst we commemorate the fallen on this Remembrance Day it seems a particularly appropriate time to bring you this research by FOBLC members David Platt and Michael Martin into the story of Reginald Mines and the other soldiers from Crofton Park commemorated by the Celtic cross in front of St Hilda’s church. Early in 1915 it was decided by the British Government that it would be impossible to return all the dead from the Great War to Britain for burial. As result it became policy to not return any and that they were to be interred where they fell with their comrades. by the people of Lewisham, located in front of the newly refurbished Commonwealth War Graves Screen Wall Memorial. Also in the nearby St Hilda’s church yard there is the Celtic cross which was paid for by the people of Crofton Park. The cross was unveiled in 1920 and commemorates the 144 men and 1 nursing Sister who gave their lives during the “war to end all wars”. Within St Hilda’s is a memorial to Reginald Mines, who is also commemorated on the Celtic cross and remembered by the people of Lewisham who paid for the Brockley and Ladywell memorial. He died in 1917 and is buried in Northern France. Reginald was born in Mayfair in 1888, the son of Richard James and Ellen Margaret Mines, late of 8, Buckthorne Road, Crofton Park, London. At the start of the Great War in 1914 the British Army had a reported strength of 710,000 men including reserves, of which around 80,000 were regular troops ready for war. By the end of the Great War almost 1 in 4 of the total male population of the United Kingdom of Great Britain and Ireland had joined, over five million men. The war began with a massive and unprecedented wave of enthusiasm. At the beginning of August 1914, Parliament issued a call for an extra 500,000 soldiers. The response was overwhelming. One early peculiarity was the formation of "Pals battalions": groups of men from the same factory, football team, bank, and similar, joining and fighting together. The idea was first suggested at a public meeting by Lord Derby; within three days, he oversaw volunteers sufficient for three battalions. Lord Kitchener, the Secretary of State for War, gave official approval for the measure almost instantly and the response was impressive. Manchester raised fifteen specific 'Pals' battalions; one of the smallest was Accrington. London raised a number of Royal Fusilier Pals battalions, including Stockbrokers, Bankers and Public Schools Pals. Reginald Mines joined B Company the 17th Battalion, Royal Fusiliers (Empire) in September 1914. The Empire battalion was raised by a body of gentlemen styled “The British Empire Committee. The desire that drew them together was to assist in the raising of troops. Similarly the Mayor of Kensington raised the 22nd Battalion, Royal Fusiliers (Kensington). These battalions were also known as Service battalions and the men enlisted for three years or the duration, and were treated in all respects as regular soldiers on unique terms of engagement and they were disbanded after the war. The 17th Battalion was clothed, equipped and barracks provided by the same gentlemen that raised it and located at Warlingham, its first commanding officer was Major G Harland Bownden M.P. 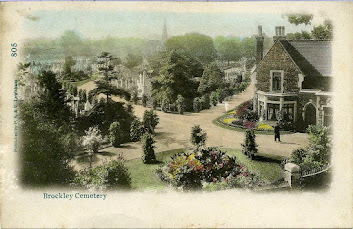 The men never forgot the welcome they received at Warlingham, and “Warlingham Crater”, near Givenchy, perpetuated their connection with the pleasant Surrey village. In June 1915 to they moved Clipstone Camp, Nott’s joining the 99th Brigade, part of the 33rd Division. On the 1st July 1915 the Battalion was taken over by the War Office and moved to Tidworth that August. On 17th November they sailed for Boulogne. On arrival in France the 17th Battalion transferred with the 99th Brigade to 2nd Division, then to 5th Brigade 2nd Division. The 17th learned its paces where a great number of battalions first took lessons in trench warfare: in the area around the La Bassee Canal. A section of trench map from the La Bassee sector. British lines were shown in blue on the right, Germans on the left in red. Note the Old Kent Road and Park Lane. The offensive campaign of 1916 - initially conceived by the French Commander-in-Chief to be a war-winning simultaneous strike on three fronts by all Allies with maximum force - came down to a few Divisions of the British Army attacking on ground not of their choosing and where there was no possibility of strategic gain. The battle of the Somme began on the 1st July 1916 after an artillery bombardment of seven days designed to destroy the German defences. On the majority of the 16 mile front this failed, leading to a terribly costly opening day of the British attack. The 2nd Division moved to the Somme in July 1916, and the first of its Fusilier Battalions to enter the Battle zone was Reginald’s 17th. It was their first entrance into any battle zone and they took over the support line at Longueval Alley on July 25th. It was not necessary to take part in an offence to sustain casualties, and Lieutenant Richmond was the first to succumb. There was a heavy bombardment with “tear shells” and he was gassed on his first day in the trenches. On the next day the shelling continued and another 15 casualties were suffered. Before any further eastward attacks on the German second positions could be made it was vital that the whole of Longueval and Delville Wood were captured On Saturday 15 July, as the fighting for Longueval continued, the South African Brigade were tasked with securing Delville Wood. Attacking with great determination at 6.15am they rapidly cleared the southern sector, despite the difficulties posed by tangled undergrowth, fallen trees and shell craters; a second advance took them almost to the wood's north-west edge, where they dug in. The Germans retaliated with ceaseless shelling, machine gun fire, and a succession of aggressive counter-attacks. Fighting continued by night and day as renewed South African assaults wore themselves out against German defences. On 18 July heavy rain and German counter-attacks forced critical withdrawals but it was not until the evening of 20 July, after six days of continuous fighting, that the South Africans were relieved. Vicious fighting for the wood continued for another six weeks, the advantage continuously changing from one side to the other: 27 July saw the 2nd Division renew the assault with A and B companies of Reginald’s 17th Battalion of the Royal Fusiliers going forward to Delville Wood (Devil to the Tommies) in the afternoon, and on this occasion there were 118 casualties. The wood was only completely cleared of Germans following the fall of Ginchy on 9 September 1916. The 17th Battalion was taken out of the line to rest and refit. Its next major engagement was in the final stages of the battle of the Somme; in what was know as the Battle of the Ancre. This commenced on the 11th November with a two day preliminary bombardment. The infantry went over the top at 05:15 on the 13th November in dense fog, and found the wire insufficiently cut and the ground too sodden. The first objective, the 3rd German line system, was taken by 06:15. 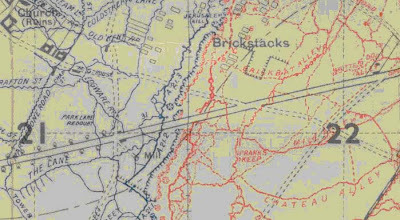 The 17th Battalion passed through the assaulting infantry to attack the remaining objectives, the Munich and Frankfort trenches. They received heavy enemy fire and by 10:00 were reduced to a total strength of 180. They managed to penetrate the Munich trench but were unable to hold it. They withdrew, and the Germans counter attacked at 16:30 but were beaten back by artillery support. The 17th lost 187 in this advance. In strategic terms little ground had been taken during the various battles of the Somme, but the German army had been seriously damaged and the British learned many lessons that would be applied in 1917 and 1918. While the Somme fighting continued and operations on the Ancre went on through the winter, the German army created a formidable new line some miles to the rear and executed a withdrawal to it in March 1917, just in time to upset Allied plans for a new offensive. As British patrols from the 17th Battalion detected that the enemy front line on the Somme had been evacuated, the German withdrawal was pursued. On reaching the new enemy position, they encountered not a trench system, but a veritable fortress: they called it the Hindenburg Line. Spelling of Sergeant) or CSM. The CSM was the senior non-commissioned soldier of a company (about 200 men at full ration strength), responsible for standards and discipline. In combat, his prime responsibility is the supply of ammunition to the company. He also oversees the distribution of other supplies such as water or food, as well as the evacuation of wounded and collection of prisoners of war. As part of the 2nd Division, the 17th Battalion Royal Fusiliers was now involved in the battle of Arras which lasted from 9th April to 16th May 1917. This was to be one of the most important campaigns in which the British Army was engaged, yet in comparison with the Somme of 1916 and Passchendaele of 1917, overlooked by most by historians. The attack was in co-operation with the French, who were simultaneously embarking on a massive attack (the Nivelle Offensive) about eighty kilometres to the south. The stated aim of this combined operation was to end the war in forty-eight hours. Initial efforts centred on a relatively broad-based assault between Vimy in the northwest and Bullecourt in the southeast. After considerable bombardment, Canadian troops advancing in the north were able to capture the strategically significant Vimy Ridge, and British divisions in the centre were also able to make significant gains. Only in the south, where British and Australian forces were frustrated by the elastic defence, were the attackers held to minimal gains. Following these initial successes, British forces engaged in a series of small-scale operations to consolidate the newly won positions. Although these battles were generally successful in achieving limited aims, many of them resulted in relatively large numbers of casualties. The 2nd Division was involved in these smaller scale actions, committing four Royal Fusilier battalions, including the 17th, to the attacks around Oppy Wood on the 29th April. When the battle officially ended on 16 May, British Empire troops had made significant advances, but had been unable to achieve a major breakthrough at any point. Experimental tactics—for instance, the creeping barrage, the graze fuse, and counter-battery fire—had been battle-tested, particularly in the first phase, and had demonstrated that set-piece assaults against heavily fortified positions could be successful. The British had suffered more than 150,000 casualties and gained little ground since the first day. Despite significant early gains, they were unable to affect a breakthrough, and the situation reverted to stalemate. Reginald’s Battalion was withdrawn for rest and refitting around Bethune. They would then be rotated by battalion to serve in the front line. A general pattern for trench routine was 4 days in the front line, and then 4 days in close reserve and finally 4 at rest, although this varied enormously depending on conditions, the weather and the availability of enough reserve troops to be able to rotate them in this way. Reginald was killed on the 26th June 1917 near a small town called Beuvry in north eastern France. The battalion was not involved in any major action on that day, but there were up to 300 British Empire casualties on a quiet day on the Western Front. He was aged 26 and is buried in the Beuvry Communal Cemetery just outside the town. The British Empire mobilized 8,900,000 men during the Great War; there were 908,000 dead and 2,000,000 wounded. All over the country memorials sprung up, often sponsored by the donations of relatives of the dead. 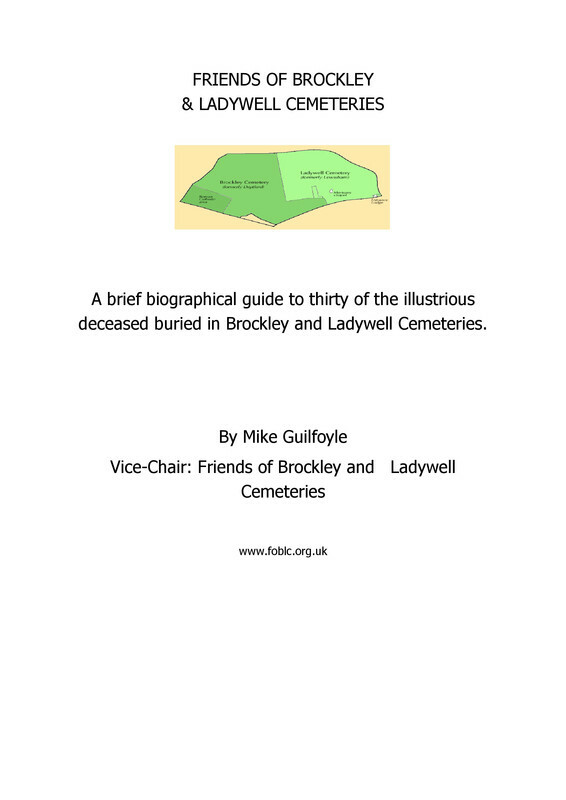 There is a column in Brockley and Ladywell cemetery paid for by the people of Lewisham, and there is the Celtic cross in front of St Hilda’s church which was paid for by the people of Crofton Park. The cross was unveiled in 1920 and commemorates the 144 men, including Reginald Mines, and 1 nursing Sister who gave their lives during the “war to end all wars”. "So," concluded the General, "I unveil this Celtic Cross, more glorious as a record of our race than marble Kings and Queens, or even than the Abbey that holds them."